One day, when Meryl Davids Landau was in her 20's and sweating it out on a bike at a New York City gym, she admired an ethereal woman gliding by. “That’s the yoga teacher,” someone said, and that was all it took. In less than the hour it took to complete her first class, Meryl was smitten. She eventually took up the study of yoga, meditation, and Hindu philosophy at the Integral Yoga Institute in New York and Buckingham, Virginia. 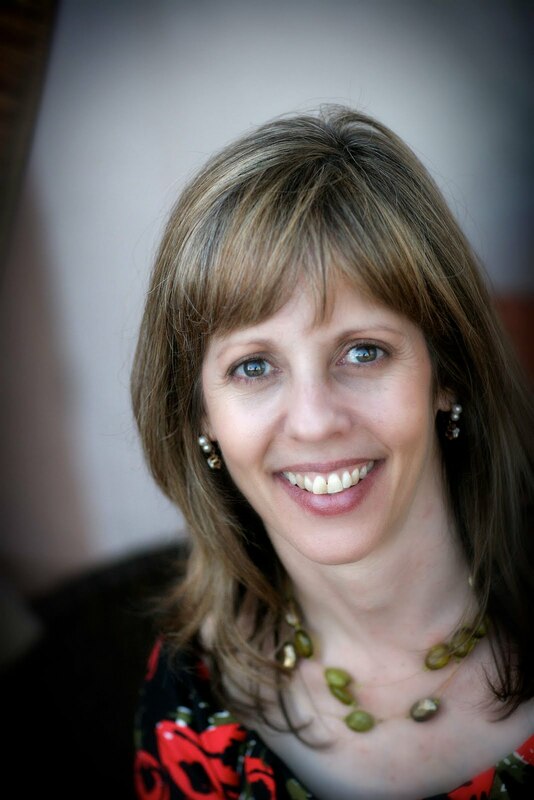 She is now certified to teach yoga, and has published a number of articles on chakras, energy healing, and other alternative themes in addition to general women's health and lifestyle topics. 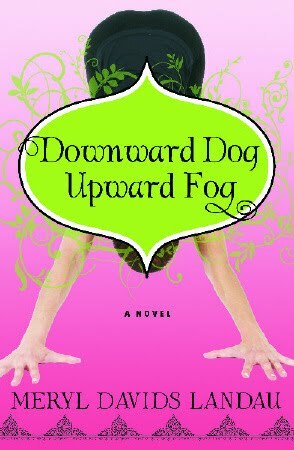 "Downward Dog, Upward Fog" (reviewed here) is her first novel, about a woman struggling to live the spiritual teachings she learns in her everyday life. One of the characters, Consuela, is based on that very yoga teacher who inspired the whole journey for Meryl. 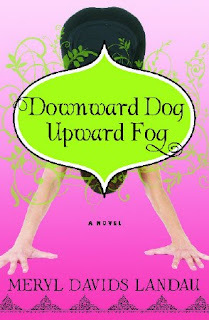 Thanks to Meryl we have one copy of "Downward Dog, Upward Fog" to give to a lucky reader anywhere in the US. You can visit Meryl at her website, Facebook and Twitter. I've considered myself a writer ever since an assigned essay was read aloud by my teacher in the fourth grade. I always knew that writing would play a major role in my career, and a few years after college I settled into freelancing for magazines. Over the years, my nonfiction articles—profiles, how-tos, Q&As, narratives—have appeared in national magazines like O: The Oprah Magazine, Reader's Digest, Glamour, Self, Redbook, More, Good Housekeeping, and Whole Living. I don't say this to boast: I want to convey how comfortable I felt writing nonfiction for so long—and, therefore, how scary it was to open a blank page on my laptop and begin my novel. All of us know that wrapped-in-a-blanket sensation of doing what we've always done, and how easy it is to stay in that cozy space when it comes to a career. (Or, for that matter, to a relationship, a friendship, a house….) After all, I knew how to write magazine articles, but hadn't yet deconstructed what goes into a good novel. (I had heard, and felt somewhat unnerved, that Somerset Maugham once quipped that there are three rules for writing a novel, but "no one knows what they are.") I'd always loved reading women's fiction, but I was pretty sure that reading something wasn't quite the same as writing it. Then one morning as I was scrambling some eggs, I half-heard an author on a TV show (I wasn't paying close enough attention to know who) say that she started writing the kinds of novels she did because she'd asked herself, "Where are the novels for women like me?" I'd long been interested in yoga, meditation and other non-religious spiritual pursuits, and had lamented that all the books about these things were serious and dry nonfiction. I hadn't thought about the possibility of writing a playful women's novel that wove in these deeper themes until I heard that author. The hair on my arms stood up at attention; she was talking to me! I went right to my computer to see where this idea would take me, equal parts thrilled and terrified. Right away I realized the difference between a magazine article and a novel—a novel is long! It was hard to remember what I wrote in prior chapters, yet consistency, of characters, places and plot, is key. Plus, it takes so much longer to complete. I did work on Downward Dog, Upward Fog only part time, between my paying magazine articles, but, still, it took several years to write and rewrite (and rewrite and rewrite). Even though early on I knew this was going to be the story of a woman struggling to live her yoga and spiritual teachings in her everyday life—in the face of backstabbing coworkers, a workaholic boyfriend, a highly critical mother and all the other challenges all of us know well—I had to learn character development, dialogue, pacing and flow. Then there was the extra challenge that I was aiming to stretch the genre of women's fiction into a spiritual realm, where it hasn't much gone before. I was intent that readers would feel inspired in their own spiritual journey by reading my novel, but I was eager to avoid sounding preachy or dogmatic. Although the topic was deep, the story had to be lighthearted and fun. Fortunately, I quickly realized something that made fiction so enjoyable: I got to make stuff up. I mean, think about how powerful that is, how someone like J.K. Rowling could conjure up a boy named Harry, and ultimately make him so real there are games, toys, even theme parks in his honor. I don't profess to be Rowling, but it was exhilarating for me to create something from nothing, having my main character Lorna go from a wisp of an idea to someone I consider a close girlfriend. It's what kept me at the computer day after day. Of course, now that my novel is published and selling well, and I regularly hear from women who are both loving it and feeling uplifted, the way I'd always hoped, I'm delighted that I took the risk. I want to share this story in the hopes that it helps other women go out of their comfort zone and stretch themselves, too. Is there something new you're wanting to try? If not writing a novel, perhaps starting or expanding a blog, beginning an entrepreneurial venture, making waves in a nonprofit endeavor? The start of a new year is a perfect time to commit yourself to that project that's been bubbling under the surface in your life, even if it's kind of scary to let it out. Special thanks to Meryl for inspiring us to write or other projects that have been on our mind and for sharing her book with our readers. 1. Please tell us: What topic would inspire you to write a fictional novel? US only. 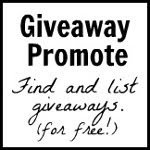 Giveaway ends January 16th at midnight EST. My inspiration? Food and travel - not necessairly in that order though. 1.It always seems to be people that inspire me to write, the stranger the better. I think I'm as inspired by Meryl as she was by her first yoga teacher! What inspires me is food and a nourished lifestyle. I'm not a writer, so I don't know if I could fill pages with that, but I would love to! My life would inspire me to write a novel. I'd write something inspired by traveling. I would like to write a fictional novel about people involved in community theater. Magicians. the performance ones, not the mystical ones, every time I watch a magic show I am always dumbfounded thinking "how did they do it?". That's how I want a novel to be. 2. I follow via email. I work at a group home with 8 ladies who are deaf and have developmental disabiities and they would be a great inspiration for a fictional novel. 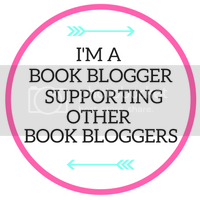 I am a blog and Facebook follower. I reposted this giveaway on Twitter. 1. Disneyland. The feeling that you get when you're there that maybe the fairytales can be real? 2. 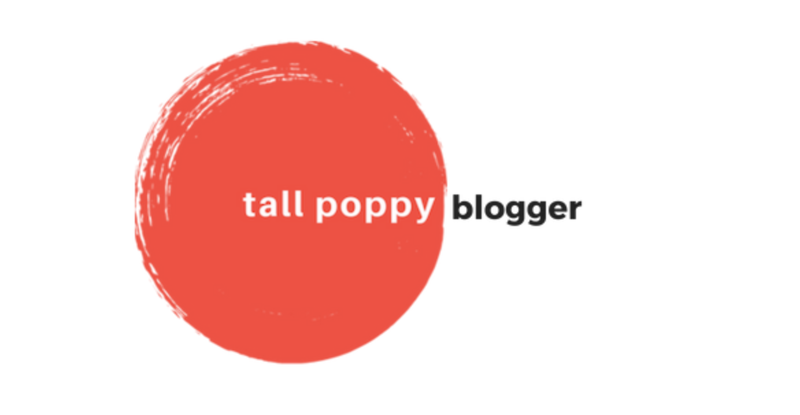 Already follow your blog. 4. 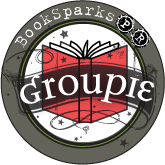 Am a member on FB! I am a follower. Loved this book, very inspiring and one of my favorites!! 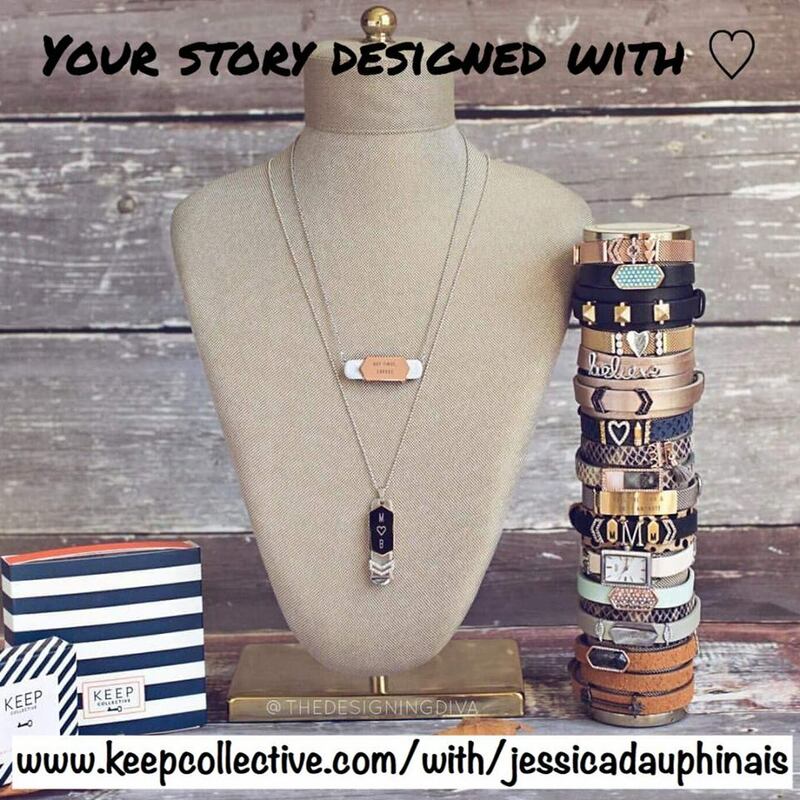 I would be inspired to write about life including fun friends and their journey to wholeness. 1. Fantasy/Fairy tales would inspire me to write a fiction novel. 4. 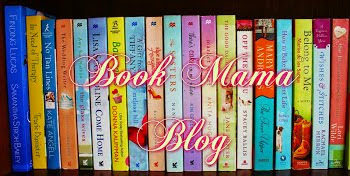 I joined Chick Lit on facebook as StuffSmart's Blog. 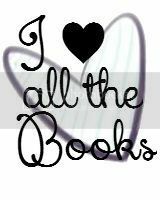 A mystery/romance/crime novel inspires me to write a novel. I tweeted contest on Twitter. I'd probably be inspired by a friends love story or maybe my own one day! A topic that would inspire me to write a fictional book would probably be something funny that one of my kids did or said. I certainly am not a writereeeeeeeeeeeeeeeeeeeeeeeeeeeeeeeeeeeeeeeeeeeeeeeeeeeeeeeeeeeeeeeeeeeeeee.